Avianca Cargo achieves historic record by transporting 12.652 tons of flowers for the 2017 Mother’s Day season. New fuel Surcharge (MY) based on a fuel index. 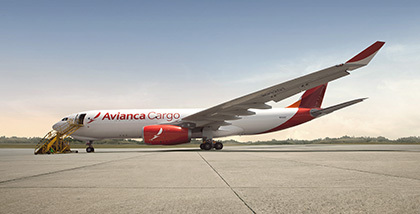 For Valentine’s Day, Avianca Cargo transported more than 11.000 tons of flowers. Between April 11 and May 2, 2016, Avianca Cargo transported 11.479 tons of flowers for Mother’s Day, a volume 4% greater than the flowers transported the previous year. This is a non-profit organization that provides oversight to ensure that pet and animal transportation is carried out by professionals in a caring, humane, safe and healthy manner all over the world. At the MIA, MEX, SJU, SCL, BOG, SAL and LIM stations. This accreditation acknowledges the training necessary for the appropriate handling of CSafe containers for CoolCare shipments.